Version control tracks and preserves changes made to a file over time. 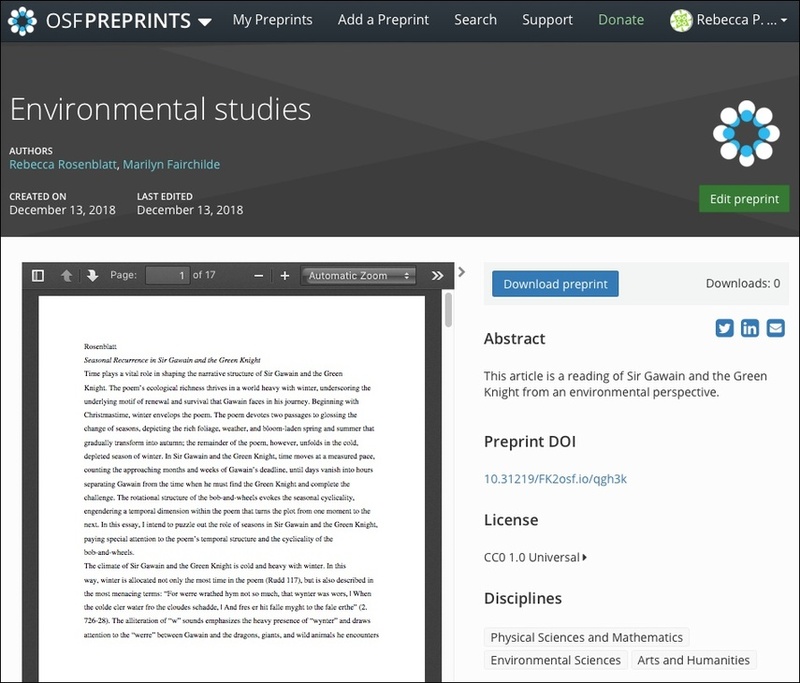 Versioning is available on preprints uploaded to OSF Preprints or a community preprint provider, enabling you to download and compare versions of preprints over time. 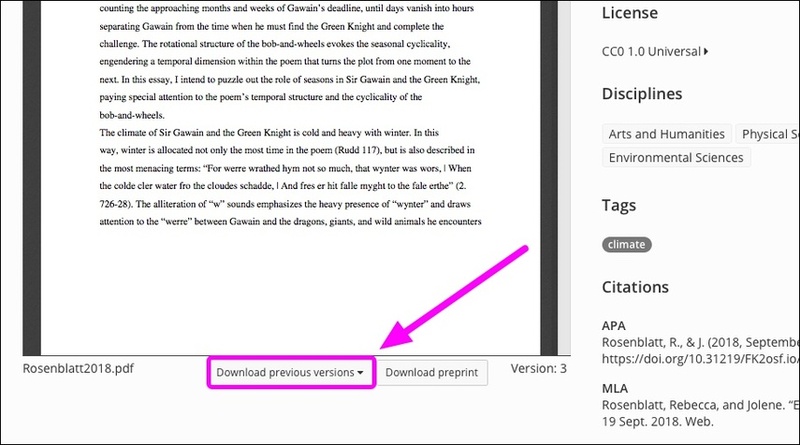 First, open the preprint that you want to view. Then click the Download previous versions menu below the file viewer. Select a version from the menu (versions are listed in reverse chronological order, with 1 being the first version). 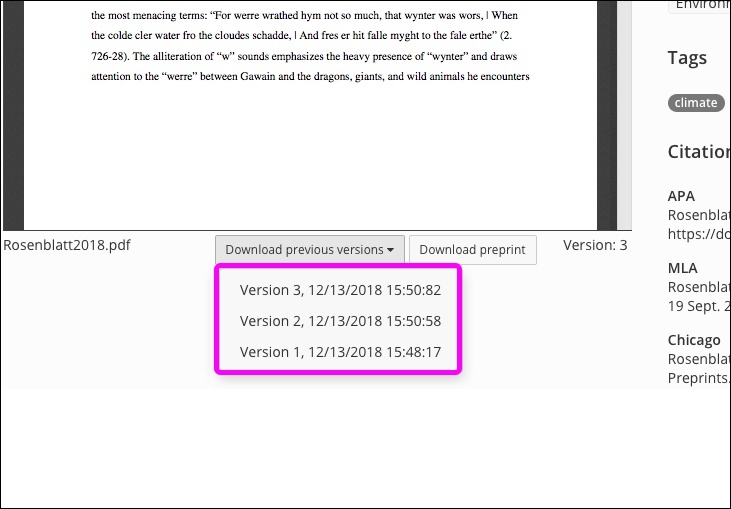 The selected version will be downloaded onto your computer for you to read.